Stardance: Michael Citrak, Peter Citrak, Beth Dockins, Michael Kenmir, Paul Wocken, Sharree Sledge, Deidre Kidd, and Dan Levine (The Olympia Contingent). 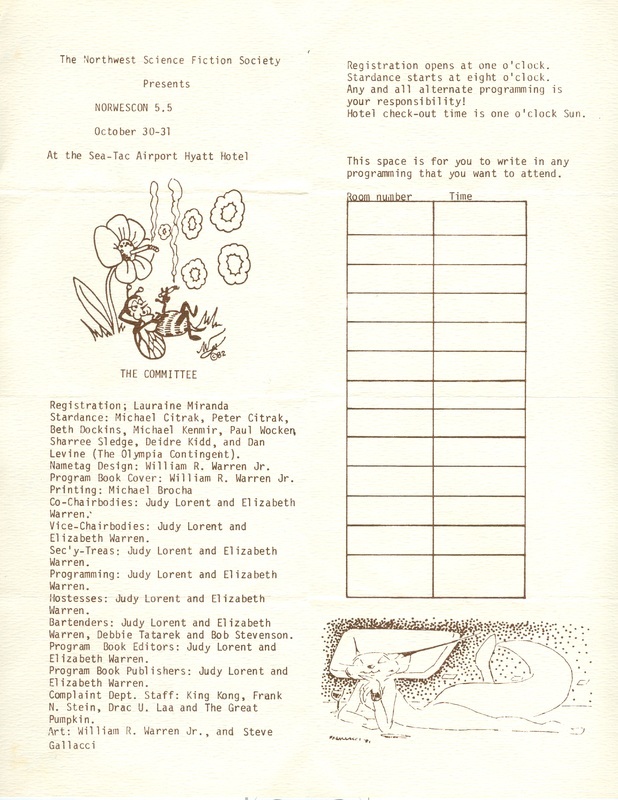 Nametag Design: William R. Warren Jr. Program Book Cover: William R. Warren Jr.
Co-Chairbodies: Judy Lorent and Elizabeth Warren. Vice-Chairbodies: Judy Lorent and Elizabeth Warren. Sec'y-Treas: Judy Lorent and Elizabeth Warren. Programming: Judy Lorent and Elizabeth Warren. Hostesses: Judy Lorent and Elizabeth Warren. Bartenders: Judy Lorent and Elizabeth Warren, Debbie Tatarek and Bob Stevenson. 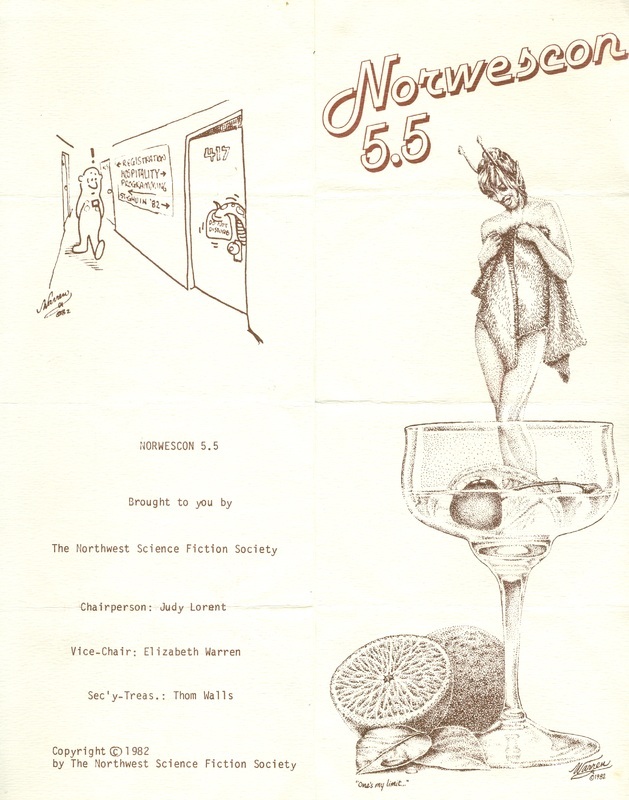 Program Book Editors: Judy Lorent and Elizabeth Warren. Program Book Publishers: Judy Lorent and Elizabeth Warren. Complaint Dept. Staff: King Kong, Frank N. Stein, Drac U. Laa and The Great Pumpkin. Registration opens at one o'clock. Stardance starts at eight o'clock. Any and all alternate programming is your responsibility! This space is for you to write in any programming that you want to attend. 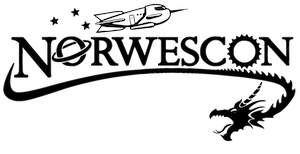 “Norwescon 5.5 Program,” Norwescon History, accessed April 19, 2019, http://history.norwescon.org/items/show/163.